Stuttgart, Geramany – Mercedes-Benz is moving its Southern Californian advanced design studio from Irvine to a newly-acquired, spacious facility near Carlsbad, in order to strengthen its creative base in the U.S. At the new Carlsbad facility, the styling masterminds pondering the car of the future have almost three times more space in which to realize their creative ideas. Thus, Mercedes-Benz is underscoring the continually growing influence of the advanced design studio on the internationally-oriented design strategy of the world’s oldest vehicle manufacturer. The new studio in Carlsbad is one of a group of international advanced design studios that, as a globally-oriented vehicle maker, Mercedes-Benz runs in places such as Como, Tokyo and Sindelfingen, as well as in the U.S.The studios are creative islands that are not subject to the demands of series production, but instead allow designers to take influences from their environments, to evaluate them and to interpret them freely. Their inspirations provide important momentum to the development of Mercedes-Benz design, which is not oriented only towards the domestic market, but also takes on board strange, new ideas from other continents and cultures that fit to the Mercedes-Benz brand identity. As part of its internationally-oriented design strategy, Mercedes-Benz opened its first advanced design studio in the U.S.back in 1990 in Irvine, California. Since then the importance of the Californian facility has grown to such an extent that the 1200 square metres of rented space on Cowan Street in Irvine are no longer sufficient. Therefore, Mercedes-Benz decided to acquire the new building in Carlsbad, 80 miles south of Los Angeles. With 3160 square meters, it even has enough space for the construction of 1:1 models – something that wasn’t previously possible. The move to the new creative centre on Rutherford Road will begin in July 2008. More than 10 000 kilometres from the design centre in Sindelfingen, Carlsbad will offer around 25 employees from a diverse mix of cultural backgrounds an ideal creative working environment for the development of the Mercedes-Benz design language of the day after tomorrow. On the one hand, it will display as many modern international influences as necessary while, on the other, conveying a clear image of its roots. Because a Mercedes will always be a Mercedes. 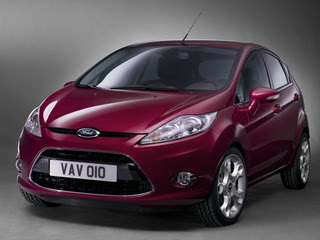 Ford Motor Co. has added a hatchback version of the Fiesta to the 2010 North American launch of the small economy car. The hatchback will be sold alongside the sedan. Ford confirmed today that it will build the Fiesta line at its Cuautitlan, Mexico, plant starting in early 2010 as part of $3 billion investment in the country. The Fiesta will give Ford two strong highly fuel efficient competitors against such cars the Honda Fit and the Nissan Versa. The Fiesta nameplate is one of Ford's best known global small cars. It was last used on a North American vehicle in 1981. It's not clear if the hatchback Fiesta will be the three-door, five-door or both. Ford officials in Dearborn would not confirm the number of doors Friday. However, a Ford official at the plant said both hatchbacks would be offered alongside the sedan in the United States. "Ford is absolutely committed to leveraging our global assets to accelerate the shift to more fuel-efficient small cars and powertrain technologies that people really want and value," Ford CEO Alan Mulally said in a statement. Ford said the Cuautitlan plant will be transformed from making F-Series pickups for the Mexican market to small cars for all of North America. The changes at the plant near Mexico City begin this year, as the plant is converted from its current production of F-Series pickups for the Mexican market to small cars for all of North America. The automaker also said its Chihuahua Engine Plant, which builds I-4 engines, will make diesel engines for light- and medium-duty trucks in global markets. Ford further will build a transmission plant in Guanajuato as part of a joint venture with German supplier Getrag. All told, Ford's plan will create 4,500 new jobs, the company said. Ford added that after the changes are made, pickup trucks for the Mexican market will be imported from U.S. plants. Ford said it expects its annual capacity in Mexico to increase to 500,000 vehicles and 330,000 transmissions by 2012. Ford's current capacity there is about 296,000 vehicles. Fewer road accidents, greater traffic efficiency and safer, more comfortable motoring are the objectives of the eCar Project jointly developed by the SEAT Technical Centre and Telefónica España through the application of Information and Communication Technologies in cars. By using these technologies, cars can benefit from a wide range of services that help make motoring safer, more efficient and more comfortable. The increasing use of mobile communication in cars has led to the eCar Project, an innovative initiative for which the first services platform has been created for the so-called Connected Car. 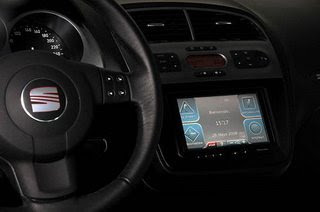 The Connected Car is an Environmental Intelligence system (driver, vehicle and surroundings) that makes it possible to transfer more intelligence to the car for greater safety, mobility and entertainment services, and advanced communications within the vehicle. Engineers at the Martorell Technical Centre have applied SEAT’s vision to the project, closely collaborating in aspects such as the Human Machine Interface and the use of the Connected Car services platform. Two of the aspects developed for the driver that mainly enhance safety are an emergency dialling button and navigation functions using the GoogleMaps tool. On the other hand, passenger services centre on infotainment, such as information channels and multimedia content use and download. Other communications services include calls, SMS messaging, Internet, etc, which can all be accessed on a touch screen or through voice activation. More road safety and fewer accidents are SEAT’s main objectives, through the use of solutions so that both driver and passengers feel as safe and as comfortable as possible. Two of these are the eCar project in collaboration with Telefónica España or the creation of a rail connection between the Martorell factory and the Barcelona port, which eliminates the need for about 25,000 trucks yearly. 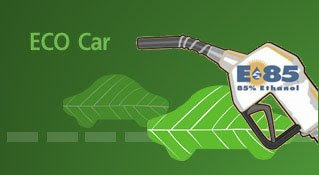 Article navigation: Home / ECO Friendly / Thailand Automotive News / Japanese carmakers set to announce E85 plans. Japanese carmakers set to announce E85 plans. Bangkok, Thailand -- Japanese automakers in Thailand including Toyota are considering clarifying their plans on E85-compatible vehicles to clear confusion among consumers. Unlike their European counterparts, including Ford and Volvo, no Japanese automaker has announced its plan to import or assemble E85-compatible cars for the Thai market. The move is in response to the government's announcement that it would make E85 fuel, a mix of 15% gasoline and 85% crop-derived ethanol, available in the third quarter this year, three years ahead of the original schedule. An auto industry source said the Japanese car firms were worried that consumers might delay their decisions and choose to wait for E85-compatible cars, thereby affecting their vehicle sales. The government's decision has deeply frustrated the Japanese automakers who noted that the development of vehicles running on alternative fuels called for cautious steps and a long-term plan, otherwise it would take a long time to revive the effort. Many car companies complained the government's early introduction this year of E20 fuel, one year ahead of schedule, had affected their operating plans. ''We cannot avoid E85 due to runaway fuel prices but a thorough study on E85 is also needed, be it crop supplies for making ethanol or environmental concerns about E85-capable vehicles,'' said the source. 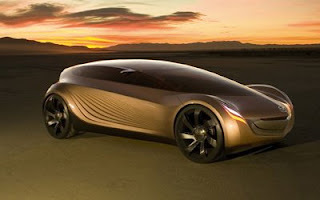 In addition, the Japanese automakers already have their hands tied developing eco-cars, which are expected to be rolled out after 2009, making it difficult for them to develop them in parallel the E85-powered vehicles. ''E85-fuelled vehicles should be put on a long-term plan,'' said the source. A detailed study on possible effects of E85 fuel on engines is also needed, especially possible damage to engine valves and cylinders. The Japanese automakers said it would take them at least 18 months to develop vehicles running on E85 after the government made clear the tax structures on both the fuel and the vehicles. Meanwhile, automakers from western countries including Ford, Volvo and Chevrolet welcomed the government's plan to push the E85 this year. Most of them are ready to import E85-powered vehicles in three months since their flexible-fuel vehicles capable of running on E10 to E85 are already marketed in Brazil and the United States. But the Japanese car companies, said the source, are unsure whether the E85-powered cars they are building elsewhere could meet the requirement of Euro 4 emission standard in Thailand. They also have doubts whether the E85 technology in Brazil and the United States could simply be adopted here due to the differences in climate conditions and ethanol quality. First Yamaha V-Max was introduced in 1984, had already proposed the most powerful block of the market. 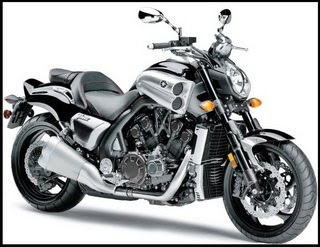 The engine of 2009 Yamaha V-max would be V-Four with 70° of 1,800 c.c., developing a power close to 210 horses. This engine is the largest capacity for a machine of series, many high-tech solutions are equipped in it, that retained with a variable distribution and electronic management of acceleration via the system house fly-by-wire. Lastly, the price will be necessary to count around 15,000 euros. Paris, France – May 29, 2008 – A zero-emission motoring future has moved two steps closer thanks to environmental commitments from the Renault-Nissan Alliance. For the initial step, Renault-Nissan Alliance will mass-market electric vehicle in Israel and Denmark in 2011 as announced at the beginning of this year. 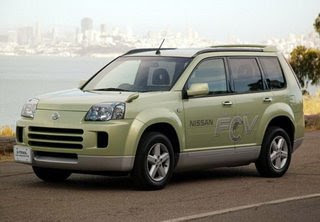 Moreover, Nissan has recently announced its plans to start selling electric vehicle in the US and Japan by the end of 2010. • Nissan’s pioneering X-Trail fuel cell vehicle has been undergoing ‘realworld’ testing for more than two years, with examples leased to government authorities in Japan. 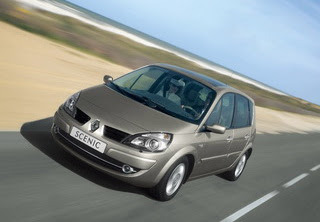 • The most recent development is a Renault prototype called Scenic ZEV H2. Based on a Renault Grand Scenic, Scenic ZEV H2 is a joint Alliance development. It features Nissan’s in-house developed fuel cell stack, highpressure hydrogen storage tank and compact lithium-ion batteries. Renault engineers and technicians prepared the Grand Scenic architecture to accept the different FCV elements under the floor, thus managing to keep ample cabin space for five adults, and to integrate Renault and Nissan electric and electronic systems. Both FCVs have been created to demonstrate the viability of the fuel cell concept – the only by-product is water – and to underline the Alliance’s commitment to a zero emissions future. Renault Scenic ZEV H2 and Nissan X-Trail FCV will be taking part in environmental road shows across Europe this summer. From June to September, Nissan will demonstrate the X-Trail FCV in six European countries while Renault will showcase the Scenic ZEV H2 at its Environmental Workshop in Barcelona during the second half of June. 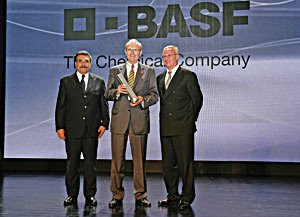 Ludwigshafen, Germany – May 29, 2008 – BASF has received the “Group Award 2008” in recognition of its role as top supplier to Volkswagen (VW). Dr. Stefan Marcinowski, member of BASF’s Board of Executive Directors, was presented with the award by Prof. Martin Winterkorn, Chairman of the Board of Management of Volkswagen Aktiengesellschaft, and Francisco J. Garcia Sanz, member of the Board of Management of Volkswagen Aktiengesellschaft responsible for procurement. In particular, the award honored the development of BASF’s Hydraulan® 404 brake fluid. Hydraulan enhances the braking performance of vehicles and is better for the environment because it needs to be changed less frequently. Thus, the total volume of brake fluid used and disposed of by Volkswagen Group and its garages is reduced by around one-third. The Volkswagen Group Award is given to VW Group’s 15 best suppliers each year. In awarding the environment prize, Volkswagen looks not only at product quality but also takes into account whether the supplier operates an environmental management system. BASF was impressive in all categories: Hydraulan needs to be replaced and disposed of only every three rather than every two years. Another advantage is that the brakes of Hydraulan-equipped VW vehicles react up to 30 percent faster. Finally, BASF combines business success in all areas with global responsibility for environmental and climate protection and has made this an integral part of its corporate strategy. Subaru Tecnica International (STI - President: Ichiro Kudoh, Tokyo, Mitaka city), in charge of all motorsport activities in SUBARU, announced to the public the competition debut of their new World Rally Car, the "SUBARU Impreza WRC2008", by their official team, the SUBARU World Rally Team (SWRT - Representative: David Richards, Britain), from Round 7 of the world championship, the Acropolis Rally. STI and SWRT presented the car to reporters in the Service Park of the Acropolis Rally on Wednesday, May 28th. 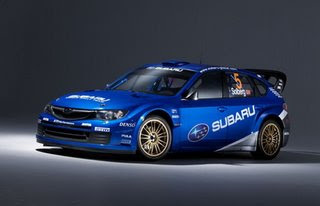 Two examples of the "Impreza WRC2008" are scheduled to compete in Acropolis Rally from May 29th to June 1st. 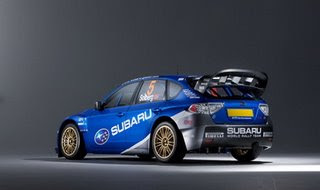 The long-wheelbase, short-overhang Impreza WRC2008 has shown improvements in stability and control, with the greatest theme surrounding the car being the huge advances made in the development of the new car's chassis. Additionally, the entire body is lighter, with improved weight distribution. SUBARU's trademark symmetrical AWD system and horizontally opposed boxer turbo engine combination, coupled with the low centre of gravity chassis have been much more thoroughly investigated for this model. In terms of engine, the same power plant used to contest events since Monte Carlo, the opening round of this season, will continue in the new car. Cooling systems such as the radiator and intercoolers have been completely redesigned to accommodate the new body. The drive system, including the new lightweight gearbox, has already demonstrated reliability and rally-level performance. The design department of Fuji Heavy Industries and SWRT jointly designed the new car. The planning of the body shell was the result of an accumulation of know-how and involvement from every department right up to the present. This also brought about improvements in aerodynamic characteristics and cooling efficiency. Electro-hydraulically controlled centre differential. Mechanical front and rear differentials. Nissan Japanese carmaker will team up with its joint venture partner, China’s Dongfeng Motor Group, each hold a 50% stake in the business to construct a $145m plant in Henan province by 2010. The new plant is Nissan’s fifth in China, will have the capacity to produce 120,000 vans and goods vehicles. and Dongfeng Motor will also increase the number of Nissan-branded cars made. Ten new models of Nissan will be launched as part of a target to raise total annual production by the joint venture business, Dongfeng Motor, from 610,000 vehicles to 1 million by 2012. Since being established in 2003, the business has proved an effective springboard for Nissan to grow its brand in China, where there is fierce competition among foreign operators. Nearly 460,000 Nissan vehicles were sold in China last year, up from 94,000 units in 2003. By 2012, Nissan plans to raise its own-brand sales to 800,000. Dongfeng’s investment programme will see it boost the number of car dealerships it operates and double its share of exports. “Our goal is to build and maintain a strong position in the Chinese markets,” said Kimiyasu Nakamura, the firm’s president. Wolfsburg, Germany -- Agreement has been reached on a co-operation which sees Volkswagen joining forces with Sanyo, one of the world’s leading developers of rechargeable batteries, to work on new and extremely efficient high-performance storage systems based on lithium-ion technology. “Our focus in future,” says Prof Martin Winterkorn, CEO of the Volkswagen Group, “will be directed more strongly at making electrically powered automobiles alongside ones driven by more efficient combustion engines. Drivetrain electrification is the way forward if we wish to secure mobility in tomorrow’s world. This will involve energy recovery. The whole idea will be to no avail, however, as long as we do not have powerful energy storage systems at our disposal and as long as vehicle operations are not in tune with customer demands. This cooperation is an important step for us,” Winterkorn adds. Emissions-free travel in an all-electric operating modus is already possible today, though only at limited speeds and over short distances. That makes it all the more important to develop new accumulators with the capacity, size, weight and cost attributes which will enable them to be used more efficiently in tomorrow’s automobiles. 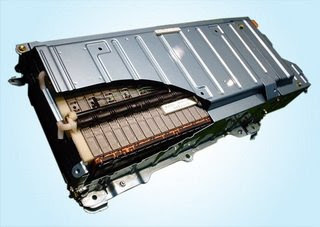 Lithium-ion technology, already very successfully used in communications electronics and portable computers, has the potential to satisfy even the particularly exacting demands placed on electro-traction systems in motor vehicles. Back in March, at the Geneva Motor Show, Volkswagen showcased its Golf TDI Hybrid design study, which demonstrated just how much potential for energy reduction there is when you combine high-tech-diesel, electric-drive and 7-speed-DSG technology. Conceived as a powerful full-hybrid vehicle, the Golf TDI Hybrid can be operated using combustion-engine power only or using a combination of combustion and electric drive or using E-drive – i.e. the powerful and energy-efficient combination of TDI technology and an electric motor. The A1 project quattro presented by Audi at the most recent Tokyo Motor Show features a powertrain already designed to cover a distance of 100 km using this innovative storage method. The Group hopes to be able to employ lithium-ion technology in its first vehicles by 2010. Bangkok, Thailand --In the face of runaway fuel prices and huge imported oil bills, Toyota Motor Corporation and two of its local units will collaborate with PTT Plc, the national energy group, to develop a hydrogenation process to produce diesel fuel from vegetable oil. The process hydrogenates a vegetable or mineral oil mix to produce high-quality biodiesel suitable for blending with diesel fuel to create a greener alternative fuel for vehicles. The new project will start after Toyota Motor, Toyota Motor Thailand Co (TMT), Bangkok-based Toyota Motor Asia Pacific Engineering and Manufacturing Co and PTT sign a memorandum of understanding on Friday, when the budget for the project would be announced. In a similar biodiesel project launched in 2006, Toyota and PTT, in collaboration with Kasetsart University, have been conducting experiments to develop biodiesel from the fruit of jatropha, a crop that can be grown even on barren land. The ongoing experiments required a total investment of 33 million baht in three years, of which 15 million baht was borne by Toyota and the balance by PTT. The project is experimenting with jatropha varieties suitable for the Thai climate, production methods, and oil extraction methods. It is also testing biodiesel production techniques, compatibility with engines and fuel supply systems, durability, emissions and cost effectiveness. 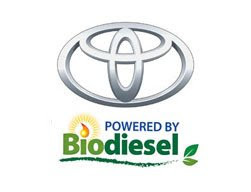 If the experiments prove successful, Toyota would produce vehicles with engines suitable for biodiesel. Jatropha would become an economic crop that cuts oil imports and increases the use of locally made fuel. Bangkok, Thailand -- The government's new push for E85 fuel could cause the much-promoted eco-car programme to collapse, local automakers have warned. Cabinet ministers yesterday approved a broad plan aimed at helping the country reduce energy consumption even as oil and pump prices continue to set records each week. The highlight is a push to introduce E85 fuel, a blend of 85% ethanol and 15% premium petrol, into the local market over the next few months, or three years ahead of earlier targets. Energy Minister Poonpirom Liptapanlop said excise tax rates for E85- compatible cars would be cut to promote the plan. Corporate taxes for ethanol producers would also be reduced. Ministers also agreed to require state vehicles to convert to NGV (natural gas for vehicles), strictly enforce speed limits of 90 kilometres per hour to conserve fuel, and reduce air-conditioner use in public buildings. Lt. Gen. Poonpirom said that PTT Plc would also increase NGV stations nationwide to 355 from 245 by year-end, and tax breaks would be extended for NGV cars until 2012. All 6,000 buses of the Bangkok Mass Transit Authority also would have NGV kits installed. Authorities estimate that Thailand could save up to 96 billion baht a year on imported oil if E85 use rose to 60% of total consumption by 2011. Oil costs the country 700 billion baht a year. But Suparat Sirisuwannakura, an executive vice-president of Toyota Motor Thailand, cautioned that carmakers would need huge sums of money to upgrade their production lines for E85. Tax incentives would also affect business plans for the six manufacturers already committed to the eco-car programme, which include Toyota, Honda and Nissan. The eco-cars, launched by the Surayud Chulanont government, will carry an excise tax of just 17% compared with standard rates of 30% to 50%. Eco-cars must have a maximum engine size of 1.4 litres and meet strict fuel efficiency and emission standards. While tax rates for E85 cars have not been finalised, Mr Suparat said a rate of 20% would almost certainly lead manufacturers to abandon eco-cars in favour of E85 models. If restrictions on fuel consumption, local content and annual production for E85 incentives are less than for eco-cars, that would push producers away from the small-car programme. Only Volvo currently offers E85- compatible cars locally. E20 fuel was just launched in February and is still in limited supply, although E10 gasohol is now widely used. Only an estimated 50 stations, all by state-controlled PTT and Bangchak, now offer E20. One Industry Ministry official acknowledged that the push to E85 would require huge capital investment, both by carmakers and energy companies. With E85 used in only a few countries, promoting it locally could have huge ramifications for Thailand's position as an auto manufacturing hub, as export opportunities could be restricted compared with other engine technologies. Another auto executive expressed frustration over the changes in policy. "I just wish that the government would focus on one thing," he said. "Take compressed natural gas - already seven car manufacturers have committed to producing CNG cars this year. Now, the government wants E85. What will come next?" Suwit Khunkitti, the deputy prime minister and industry minister, said he would discuss the policies with eco-car producers. He also expressed confidence that ethanol production could meet demand. Authorities have licensed 47 producers with a targeted daily output of 4.2 million litres. Eleven producers now make 900,000 litres a day, mainly from cassava and molasses. One PTT executive said privately that ethanol-based fuel was not necessarily cheaper than petrol. "With E10, fuel consumption is about 2-3% higher than petrol due to the lower heat value for ethanol," the executive said. 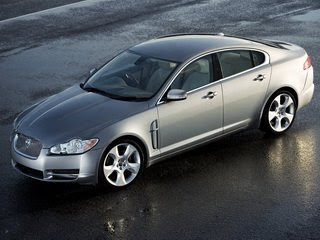 The new Jaguar and Land Rover hybrid models will hit UK market within next 5 years, based on the two new engines 3.0 liter V6 that developed from today version of 2.7 liter V6 diesel engine and the new direct injection 5.0-litre V8 that will be launched next year. A start-stop technology for the 3.0-litre V6 diesel will be the first to be launched in the Land Rover Discovery 3, Range Rover Sport, Jaguar XF and Jaguar XJ in 2010 that claimed for 10 percent boost in fuel economy. The completely internal design of ZF 8-speed transmission with a fuel-saving feature, and a separate hydraulic reservoir that makes the 'box compatible with stop-start devices unlike today's six-speed ZF unit. Jaguar is considering the system for a full-hybrid version of the next XJ with ZF's Dynastart electric motor to replace the torque convertor and it could be on the market by 2012 and Land Rover is looking at a different hybrid solution using "Electric Rear Axle Drive" rear-mounted motor. US carmaker Ford has outlined plans aimed at making up lost ground in the Philippines, where the company has recently been overtaken in volume sales terms by South Korea's Hyundai. The plan focuses on two main areas - raising Asia exports by adding new markets and boosting domestic sales with the launch of new models. According to Ford Philippines president Richard Baker, exports should rise by 40% in value terms to US$75mn, based on improved regional economic conditions and the addition of Singapore and Brunei as export destinations. Ford Philippines currently exports its locally-produced Ford Focus and Escape and their sister models, the Mazda 3 and Tribute, to Indonesia, Thailand, Malaysia and Vietnam. On the domestic front, Baker commented that the company is aiming to raise sales by around 10% in 2008, which would mean selling around 8,000 more vehicles than last year. In particular, Ford will look to its best-selling model, the Everest SUV, which has already achieved growth of 50% year-on-year (y-o-y) in Q108. Another factor will be the choice of powertrain for new models. Baker added that Hyundai's success is partly due to its range of diesel models, which have proven popular at a time of high fuel prices. In its attempt to boost its domestic sales and fight back against Hyundai, which has taken Ford's fourth place in the market, the US manufacturer plans to roll out its own range of diesel models. Two new models are slated for launch later in the year and will be new versions of existing models. Engines already play an important part in Ford's strategy for the Philippines and as such, the company invested PHP1.1bn in a flex-fuel engine facility, which opened in 2007. Over the next five years, the facility will produce around 100,000 engines, capable of running on a 90:10 gasoline to ethanol combination. The engines will initially be fitted into the Ford Focus, and later in the Escape SUV and Mazda models, including the Mazda3 and Tribute SUV. Output is also exported to other markets in the ASEAN bloc and South Africa. The recent performance of the Philippines auto market suggests that the conditions are suited to growth plans for manufacturers. After topping the 100,000 unit mark for the first time in 2007, sales in the first four months of 2008 reached 39,981 units. 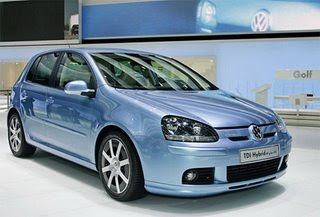 In April alone, sales were up by 4.3% from March, and up by 28.4% from April 2007, at 11,078 units. This puts the market on track to achieve CAMPI's forecast of 125,000 units in 2008, which is in line with BMI's projection of 127,335 units. However, Ford was not even in the top five for sales in the year to April. Tokyo, Japan --Toyota Motor Corp., seeking to stay in pole position in the fuel efficient car race, unveiled plans Friday to build a new factory producing batteries for eco-friendly vehicles. The move comes amid growing competition between Japanese automakers to tap demand for economical cars amid soaring prices at the pump. Toyota's joint venture with its partner Matsushita Electric Industrial Co. plans to spend 20 billion yen (192 million dollars) to build a plant in Kosai in central Shizuoka Prefecture, said Toyota spokesman Hideaki Homma. Toyota has taken a lead in sales of hybrids, selling more than one million of its Prius model -- the world's first mass-produced hybrid -- since its launch about a decade ago. But it is facing renewed competition from other Japanese automakers such as Honda as well as overseas rivals in the green automobile race. Earlier the Nikkei business daily reported that Toyota aims to double its annual production of batteries for eco-friendly cars to one million units by 2011. The joint venture, Panasonic EV Energy Co. (PEVE), will invest a total of 70 billion yen (673 million dollars) to expand production of the batteries, the Nikkei reported without naming its sources. It said Toyota would build a new nickel metal-hydride battery plant in Taiwa, Miyagi Prefecture, though the automaker denied such decision had been taken. The report said another new plant would produce lithium ion batteries for Toyota plug-in hybrids -- the first time Toyota has mass produced lithium-ion batteries. Automakers have for years been competing to develop lithium-ion rechargeable batteries suitable for long distance hybrids, but there have been safety concerns after massive recalls by laptop computer manufacturers. Nissan Motor Co. said this week it and NEC Corp. will invest 115 million dollars to mass produce new batteries for electric, hybrid and fuel-cell vehicles. Honda Motor -- like Toyota a pioneer of hybrid-engine cars -- said this week it plans to introduce what it describes as an affordable hybrid in early 2009. Hybrids are equipped with an electric motor and a standard petrol engine, making them more economical and environmentally friendly than conventional autos. Bangkok, Thailand. -- An initiative to introduce E85 gasohol, the 85% ethanol-blended gasoline, to the Thai market received a boost yesterday when the government decided to cut the excise tax on it to promote the use of alcohol-fuelled cars. General Motors, Ford and Volvo are the first group of car makers ready to import their E85-fuelled vehicles to the Thai market within three months after the government finalised the exact rate for the tax, and this will generate demand in the local market, said Deputy Prime Minister and Finance Minister Surapong Suebwonglee after a meeting of economic ministers aimed at curbing rising energy prices. The three western car makers could set up local production lines for the cars within 18 months. Japanese car makers said they could open local production lines of E85-fuelled cars within two years. E85, a blend of 85% ethanol and 15% premium petrol, will be introduced in Thailand as world oil prices continue to skyrocket. To encourage car makers to market cars using E85, Mr Surapong said, the government will cut the excise tax on the cars to below 25%, which is the tax now imposed on E20-fuelled cars. Current excise tax rate for normal passenger cars is at a minimum of 30% and rises depending on engine size. The Finance Ministry will ask for government approval in principle on the tax reduction today. The exact rate of the reduction and details of other energy conservation schemes will be proposed for cabinet endorsement next week, he said. To facilitate the use of E85 fuel in Thailand, PTT Plc and Bangchak Petroleum Plc are ready to sell E85 in their 30-50 service stations within 3-5 months. Sales of the fuel could be swiftly increased depending on demand. He said the supply of ethanol to produce E85 is sufficient. At present, 11 ethanol producers could supply 900,000 litres per day, compared with demand of 800,000 litres. By next year, the number of producers will increase to 22 with total production capacity of 2.5 million litres per day. The government would also extend the excise tax reduction for cars using natural gas for vehicles (NGV) and related equipment until 2012, said the minister. The extension includes tax on imported NGV-using completely built-up (CBU) car units which is cut to zero per cent from 30%, tax for cars with engines modified to use NGV, which has now been reduced to 22% from 30%, and tax on imported NGV cylinders and gas controlling equipment. The government will push to have all state agencies' vehicles modified to use NGV and set a target to boost the number of private car owners using NGV to 120,000 by the end of this year from 71,000 now. Mr Surapong also said the cabinet would kick off its energy conservation schemes by increasing the temperature of the air-conditioning units in the cabinet meeting room to 26 degrees Celsius. 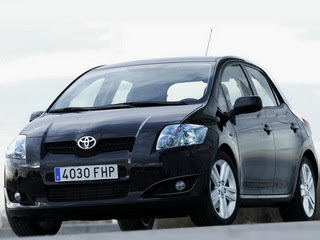 Toyota is planning a ‘massive’ introduction of new models in Germany by 2009. The Japanese automaker is facing an significant drop in the market share and hopes the addition of new models will boost the brand’s image. Toyota's share of the German car market dropped to 3.6 percent in the first quarter of this year, down from 4.2 percent in 2007, he said in an interview to be published today. The expected market share at the end of 2008 will be closer to 3.6 percent than to 4.2 percent due to a lack of new products he added. In 2009, the Japanese company will bring six new models and nine upgrades of existing models to the German market, including a diesel engine combined with an automatic transmission, Uyttenhoven said. Infiniti, Europe’s newest premium car brand, has launched an internet based ‘reservation list’ in response to demand from customers eager to be among the first in their country to own one of the company’s range of performance cars when deliveries start from October 2008. The first European Infiniti Centres will open their doors in nine countries from October 2008, including the major markets of France, Spain and Italy. 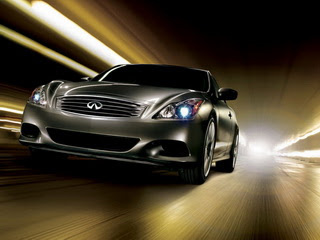 Six more countries will join the Infiniti stable from January 2009, quickly followed by a further six countries from April 2009, including the UK and Germany. The arrival of Infiniti in Europe is not just one of the most exciting premium automotive brand events in nearly two decades; it promises to redefine the customer’s experience of buying and owning a performance car. At launch, the Infiniti range will comprise four exciting, and engaging luxury cars – two highly distinctive crossovers, the EX37 coupé crossover and all new FX performance crossover, and the award-winning G37 coupé and sedan models. Each Infiniti model will be tailored for European customers’ unique needs, rigid quality standards and demanding European driving conditions. Infiniti European models will be fitted with new stabilizers and bigger brakes than their American counterparts. Nissan will also introduce a new 7-speed automatic transmission along with a V6 diesel engine around 2010 when the next-generation ‘M’ arrives. Not only that, Infiniti’s V6 engines in Europe will be more powerful. 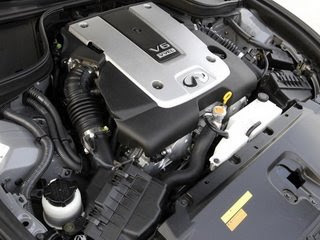 While we see a 3.5 liter unit here on the G35 sedan; Europeans will enjoy a larger 3.7 liter V6 engine. The German automotive supplier Continental AG plans to invest 100 million euros or five billion baht building its first plant in Thailand, aiming to expand into Southeast Asian markets. The government's promotion of eco-car manufacturing encouraged the company to invest in Thailand, said Thomas Chambers, managing director of Continental Automotive (Thailand) Co.
''Guidelines for eco-car production in Thailand, be they fuel efficiency or safety requirements, are close to Continental's technology,'' he said following the foundation stone laying ceremony on Wednesday at the Amata City Industrial Estate in Rayong. The plant, expected to be operational by mid-2009, would create around 1,000 new jobs. Jay Kunkel, a member of the managing board of Continental, said the investment reflected the company's strategy to strengthen Asian operations where it hopes to generate 20-25% of its sales by 2015. ''We recognise the importance of Thailand as a manufacturing hub and this new dedicated manufacturing plant in Rayong marks a strategic step toward our goal to become a leading automotive components and systems supplier in Thailand and across Asia,'' he said. Mr Kunkel said the powertrain and interior electronics manufacturing plant in Thailand represented the latest milestone in Continental's Asean expansion plans. Mr Chambers said Continental would continue to raise awareness of its broad product range in the Thai market for automotive electronics, tyres and rubber components. The Thailand plant is the company's fourth facility in Asean after Malaysia, the Philippines and Indonesia. It plans to produce 500,000 diesel commonrail systems, 2.5 million fuel injection units, 500,000 fuel rails and interior electronics components. Mazda world design -- Mazda’s new baby! These are the first official sketches of the firm’s forthcoming city car – which will be revealed in concept form at the Paris Motor Show in October. Likely to be badged Mazda 1 when it goes on sale in late 2009, the urban runabout will rival the Volkswagen up! and Toyota’s iQ. As you can see from these drawings, it’s the first model to bring the design themes showcased by the company’s Nagare concept to reality. The sporty look of the 2 supermini is evolved with a taller roofline to boost headroom, but key details including dramatic slashes in the bodywork and short overhangs are retained. The city car concept is likely to feature Perspex panels, plus sliding side doors and seats, which will increase practicality, too. The concept is likely to be powered by a combination of fuel cells and batteries. The firm will also reveal a new 4x4 at the Moscow Motor Show in August, based on Ford’s Kuga, which could make its way here. And it is working on an RX-7 replacement that also follows the Nagare design theme. Honda Performance Development (HPD), American Honda's headquarters for professional auto racing operations, has extended its relationship with the Indy Racing League and plans to supply engines to the IndyCar Series for the next five years. Honda joined the IndyCar Series at the start of the 2003 season, and became single supplier of racing engines to the series in 2006. "In the six years that Honda has been a part of the Indy Racing League, we've had a great deal of success, both against strong competition from other auto manufacturers and as single engine supplier," said Erik Berkman, president of HPD, located in Santa Clarita, CA. "Honda is pleased to be part of the IndyCar Series, as it provides both a technical challenge for our engineers and a showcase for Honda products worldwide." Today's announcement that the League will host a manufacturers' roundtable in June to openly discuss future chassis and engine rules was also welcomed by Berkman. "We are delighted by the League's decision to welcome automotive manufacturers to Indianapolis next month. We look forward to the continued growth of IndyCar racing, and potential participation by additional engine manufacturers." "I am very excited about Honda's decision today as it brings stability and continuity to a very competitive racing package," said Brian Barnhart, President of Competition and Operations for the League. "We're encouraged by Honda's commitment to the IndyCar Series, and their willingness to assist us in growing the series, both on and off the race track." Honda entered the IndyCar Series in 2003, and scored 28 victories in 49 races (2003-05) against strong competition from opposing manufacturers, including Indy 500 and IndyCar drivers' and manufacturers' championships in 2004 and '05. Overall, including its 65 victories in the CART Champ Car series from 1994-2002, Honda owns 128 race victories in open-wheel competition in the U.S.
During the course of the 17-race 2007 IndyCar Season, 36 drivers, utilizing the Honda Indy V8 (HI7R) racing engine, recorded a total of 166,608 miles with just a single in-race engine failure - a demonstration of outstanding design and build quality rarely seen in a highly stressed racing engine. For the second consecutive season, Honda also powered the entire 33-car starting field at the 2007 Indianapolis 500. And for the second year in a row - and the only two times in '500' history - there was not a single engine-related retirement in the event.